Many organizations find themselves working within a hybrid cloud IT environment that mixes together any number of public cloud, private cloud, and on-prem technologies and, in many cases, largely increases their attack surface. In this expert e-guide, we explore how you can protect data fully in a hybrid cloud model by scrutinizing your integration points, network access controls, and existing security policies. 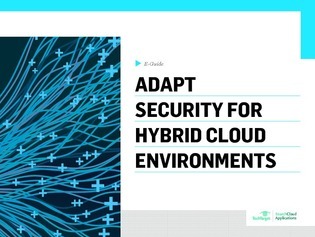 Find out how you can overcome the security challenges of hybrid cloud, and learn about the organizational and cultural changes that accompany this shift in security.